Excessive groundwater pumping for irrigation in California's agricultural belt can stress the San Andreas Fault, potentially increasing the risk of future small earthquakes, a new study suggests. GPS readings found parts of the San Joaquin Valley floor have been sinking for decades through groundwater depletion while the surrounding mountains are being uplifted. This motion produces slight stress changes on the San Andreas and neighboring faults. "The magnitude of these stress changes is exceedingly small compared to the stresses relieved during a large earthquake," lead researcher Colin Amos, a geologist at Western Washington University, said in an email. The findings were released Wednesday by the journal Nature. 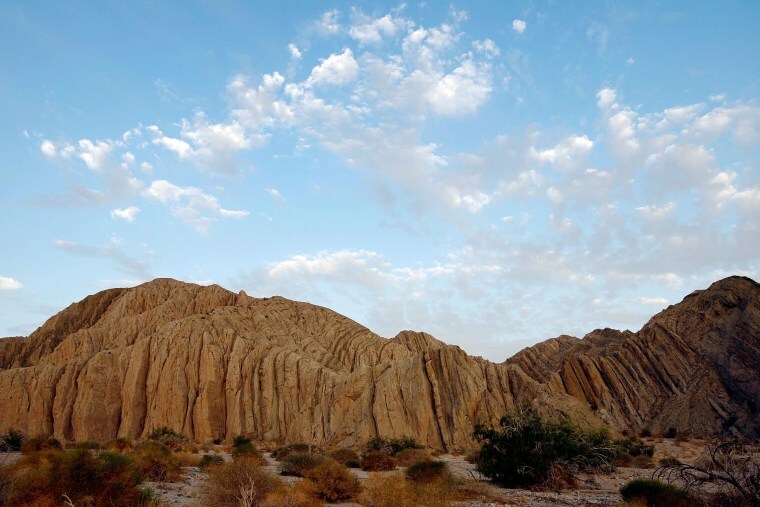 The study suggests that human activities "can cause significant unclamping of the nearby San Andreas Fault system" through flexing of the Earth's crust and upper mantle, Paul Lundgren of the NASA Jet Propulsion Laboratory wrote in an accompanying editorial. Lundgren had no role in the research. In the past century, the amount of groundwater lost in the Central Valley through pumping and crop irrigation is equal to the volume of Lake Tahoe. The ongoing drought is expected to exacerbate the problem as communities tap groundwater faster than it can be replenished. As the valley subsides, this change in load causes the Sierra Nevada and Coast ranges to slowly rise. Since the San Andreas runs parallel to the valley, scientists said this upward flexing of the surrounding land can trigger small quakes. However, it's unclear whether long-term stresses from groundwater extraction have any bearing on future large earthquakes on the fault. "These earthquakes are likely to occur no matter what humans do," Amos said. The San Andreas is the most significant fault crisscrossing California. Nearly 800 miles long, it stretches from a peninsula north of San Francisco to the Salton Sea near the U.S.-Mexico border. The fault is responsible for some of the most devastating seismic disasters in state history including the 1906 San Francisco earthquake that reduced much of the city to rubble. Scientists have said a magnitude-7.8 event on the southern San Andreas — a so-called Big One — could kill 1,800 people and cause $200 billion in damage. For the past several years, the state has held preparedness drills designed to help residents cope with strong shaking.